Get more out of your business—on the go. 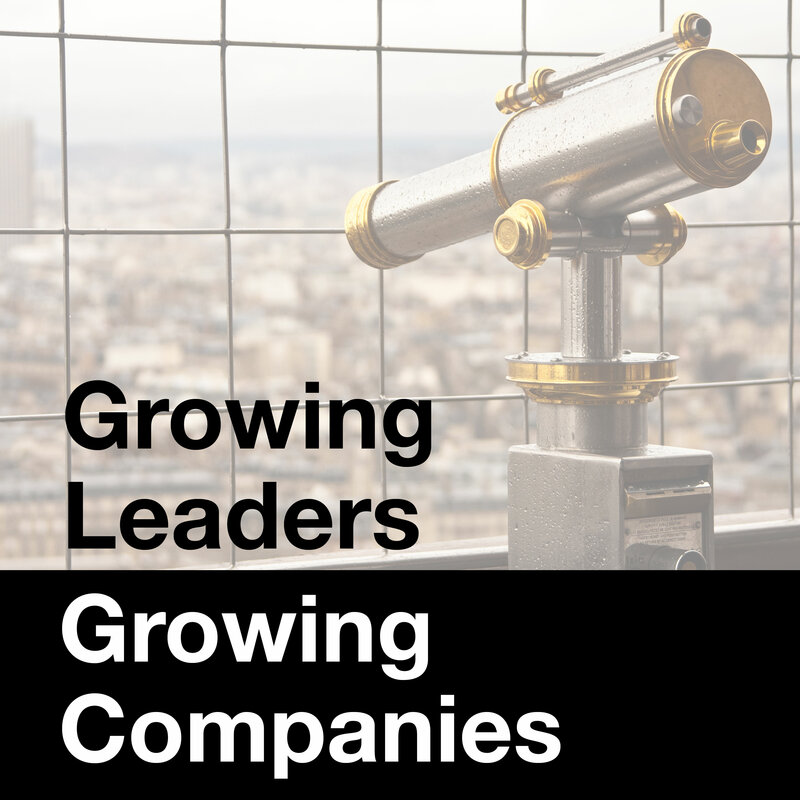 Join Kevin McArdle and Megan O’Leary for the Growing Leaders, Growing Companies podcast. You’ll discover business growth strategies, leadership tips and new distinctions for getting traction in your business. Subscribe now to listen on your favorite podcast platform. Even the most successful companies “hit the ceiling” or reach a plateau where growth levels off. 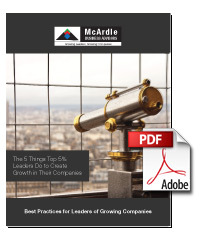 After 30 years of working in diverse organizations helmed by top executives, we’ve noticed a few best practices that can position your organization to smash through the ceiling and reach the next level. companies typically expand in spurts by smashing through a series of ceilings, or what you can also think of as plateaus. Most leaders can see their vision clearly. However, many of these same leaders make a crucial mistake: They assume that their teams see it clearly, too. However, clarifying and communicating your vision doesn’t have to be a challenging process. Even the most successful entrepreneurs occasionally find running their business more challenging than they expected. Many work longer hours and get less return on their investment of time and money than they’d like. Entrepreneurial problems and issues surface in a variety of ways: confused or poor decisions; missed deadlines; finger-pointing and excuses; and in many cases poor morale. The company’s problems just keep getting kicked down the road and sales and revenue flattens. Yet, nobody can figure out why. One crucial factor that can make or break your business is its cash flow—how much money is coming in and going out of your organization. However, despite the importance of having cash available, we’ve discovered that very few companies really dig into the specific levers that are driving both cash flow and overall profitability. 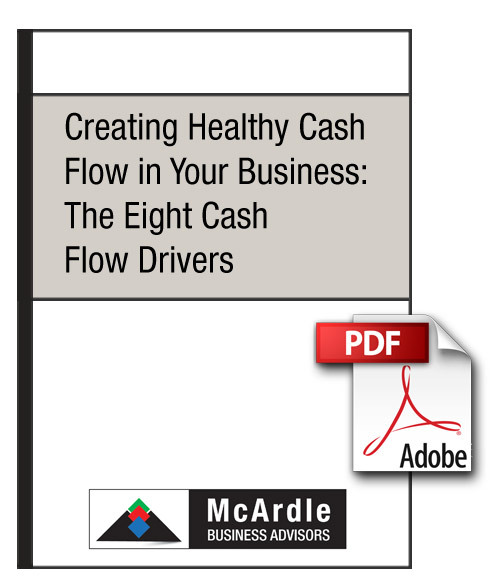 In this article, you’ll discover how understanding these eight cash flow drivers will help you and your leadership team stay focused on what really matters to your bottom line. You’ll also learn how to manage these factors effectively and move your business toward more consistent positive cash flow, securing a long-lasting future for your company. 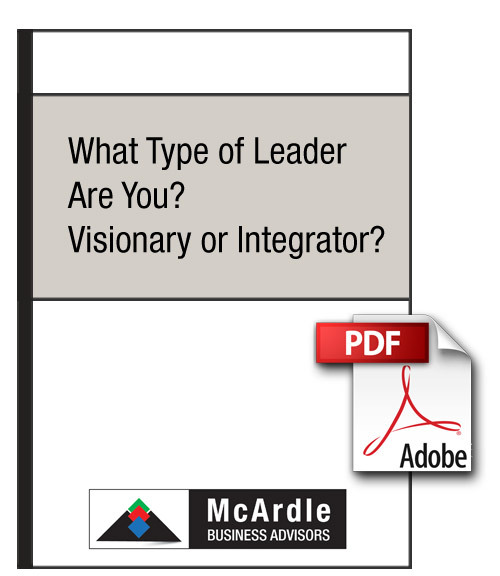 Successful organizations have two types of leaders at their helms: Visionaries and Integrators. These two roles couldn’t be more different in terms of how each thinks, focuses and operates. When you pair a Visionary with an Integrator, the exciting combination of different skill sets produces extraordinary results. Creating this synergy begins by understanding which of these two roles compliments your skill set, then locating another leader in your complimentary role. Together, you can move your company forward faster than you thought possible. Does your leadership team get caught up in “people issues,” those discussions about employee problems that eat up valuable meeting time without really accomplishing anything? People problems are a huge drain on your business, both in the lost time discussing these challenges and in the lost business opportunities that result when you don’t have the right people doing the jobs they’re meant to do. One powerful solution, popularized by Jim Collins in his best-selling book, Good to Great, emphasizes getting the right people in the right seats, which means matching the right organizational structure with the team members who will thrive in those positions. 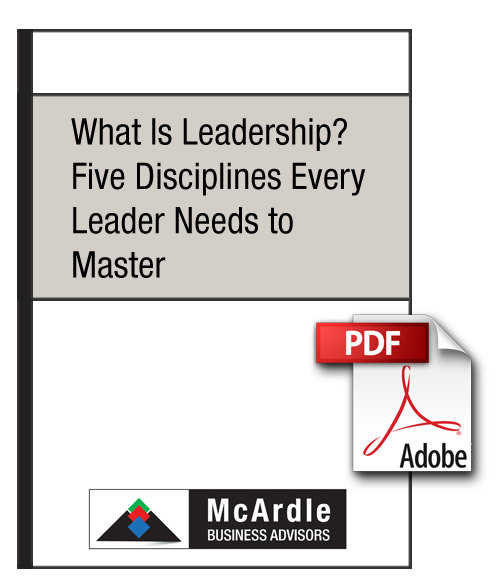 There are plenty of theoretical articles written on exactly what leadership means. However, what most leaders need, more than anything, is a practical set of tools for building a healthy, growing organization. Becoming a strong leader who can move his or her organization forward begins by focusing on five concrete and simple disciplines that will help your company reach its full potential. After all, it’s one thing to reach your goals and yet another to realize exactly how great your company can be. Many business leaders spend their days overwhelmed, tired and buried in the day-to-day of their organizations, unable to see beyond tomorrow. If this position sounds familiar, you know how impossible it can be to drive your business strategy forward. You spend your days putting out fires, instead of leading your business—and your people—as you should. It doesn’t have to be this way. This article asks you to examine the health of an organization in six categories, what we call the Six Key Components. As you focus on strengthening each of these components, you’ll clear all of your obstacles to growth and pave a path toward a healthy, lasting future. Is Your Vision Holding Your Company Back—or Propelling It Forward? Most leaders can see their vision clearly. However, many of these same leaders make a crucial mistake: They assume that their team sees it clearly, too. Without a clearly communicated vision, your company simply won’t move forward in any significant way. Momentum requires focus and direction—and a vision provides both. However, clarifying and communicating your vision doesn’t have to be a challenging process. In fact, it starts with just eight core questions. I’ll walk you through them in this webinar to give you a roadmap to creating a strong vision that can be easily shared with your team. Take a moment to consider where you want your organization to be in 6-12 months. Now ask yourself: Do you have the right team to get you there? In this webinar, you’ll discover how to solve the #1 problem that holds companies back from achieving their goals: their people. When you have the right people in the right seats, executing your vision becomes significantly easier. You’ll spend significantly less time on your “people problems” and more time realizing your company’s vision at the highest level. Want better results from your business, better results from your people and better results from your time? During this presentation, you’ll discover a set of simple, practical tools to align the six components of your business to help you 1) master the moving parts of your business, 2) focus your available resources in one, unified direction and 3) get immediate traction in your market.